Since there would be different item price at different locations or countries based on its currency, we will need to state its different prices onto an item. Sometimes, the item price for different level of member category varies too. 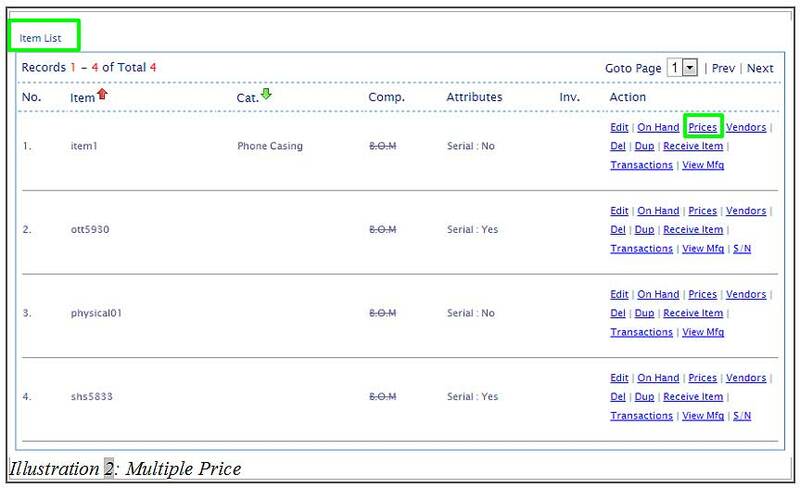 For example, the item price for a V.I.P. will definitely be lower than the regular member. 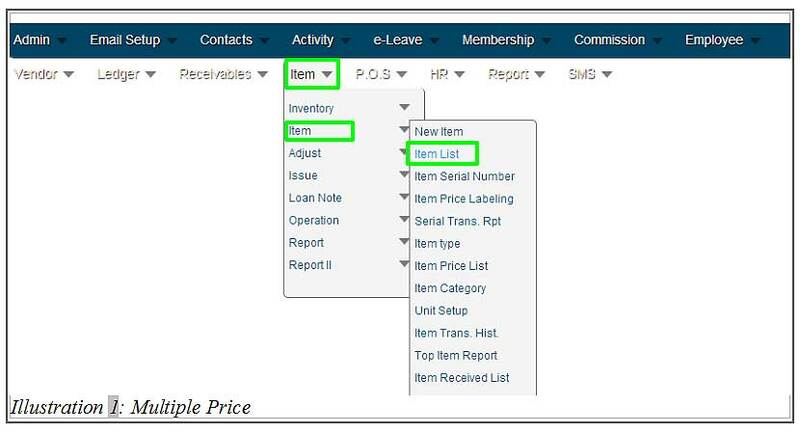 Thus, in this tutorial, we will guide you on how BMO Online Inventory Malaysia allows you to create a multiple prices onto an item. 2. At item list’s page, click on Prices to show list of prices attached to an item. 3. Click on New Price as to create a new item’s price. 4. 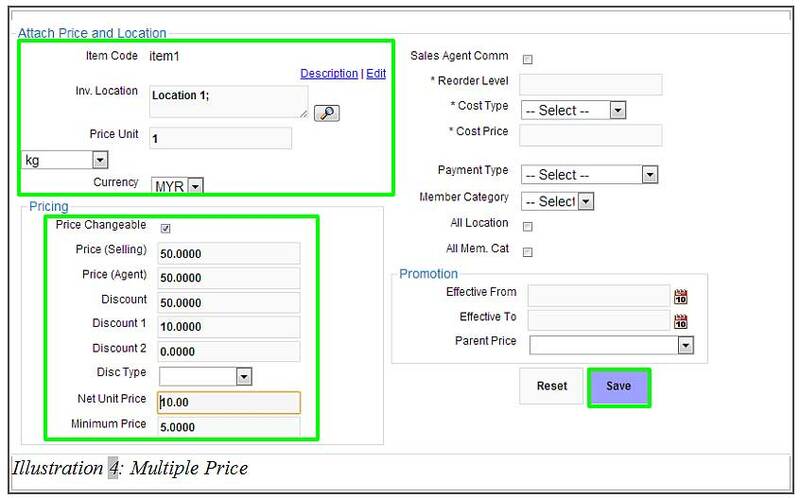 Here, you are required to fill in all the price’s detail including its location and currency. You may fill in the discount price if there is any. After all the necessary details has been filled in, click Save. 5. After the item’s price has been saved, a notification message will appear to inform you that the item location and the price has been attached to the item. 6. Now, click on Prices in Item List page to show list of prices attached to an item. You will see a newly created price attached to an item as highlighted below.